Now that the wedding is over, I have a couple of choices...I can start shoving myself full of pasta, cake and cookies or I can keep up this trend of eating healthy and exercising to get ready for the summer. I am going back to running tomorrow, and with some of our wedding prizes like the NInja 3 in 1 and a clean, empty and organized refrigerator that was a wedding surprise from my cleaning lady...I am ready to start fresh with three meals of healthy and homemade goodness. Summer is so easy to make some of your favorite dishes that are great when you come home for lunch or after work. We are just settling in and I wanted to make something last night while we waited for dinner.One of the easiest things to do when your cabinets are bare is hummus. You can shake it up with sun dried tomatoes or use black beans instead of chickpeas but I tend to just go old school. In just a couple of minutes you have something wonderful to snack on. 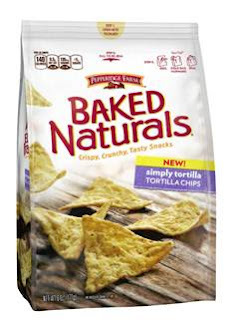 You can eat with celery or carrots or any vegetable but I am a little addicted to this guilt free chip that is new to Pepperidge Farm's line-up. 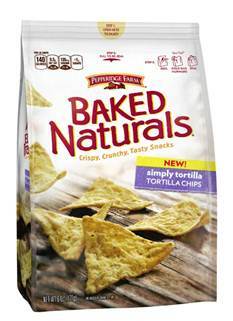 They are gluten free and delicious, and they come in Simply Tortilla and Nacho Cheese. My husband (eeeks the first time I wrote that) said the Nacho ones were AWESOME and I have to agree with the Simply Tortilla.